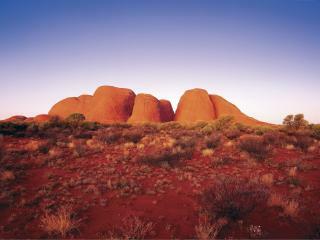 Located 365km southwest of Alice Springs, The Olgas (Kata Tjuta) is a group of 36 rock formations meaning 'many heads'. 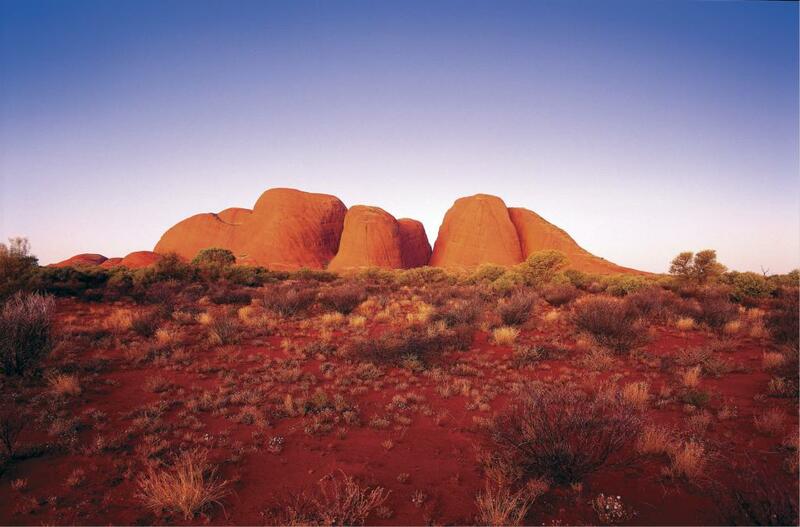 Just 25km west of Ayers Rock (Uluru), The Olgas form a major landmark within the Uluru-Kata Tjuta National Park. Covering 21.68 sq km, The Olgas are made up of boulders, cobbles and sedimentary rock ranging from basalt and granite and held together by sandstone. Check out our Kata Tjuta & Uluru Sunset Tour and the 4 Day Kata Tjuta, Uluru & Kings Canyon tour in to the heart of the Northern Territory. Mount Olga is the highest point of The Olgas at 1,066m above sea level and is actually 198m higher than Ayers Rock (Uluru). Located in Docker River Road's east, these rocky red outcrops are separated by valleys and are an inspiring and impressive sight. Holding a special significance for the Aboriginal people, The Olgas can be explored on foot and are a wonderful way to gain an insight into the spiritual and cultural importance of the Aboriginal people. A number of walks are available to suit all kinds of time and fitness limitations ranging from one hour walks all the way through to five hour walks. Following the outcrops and gorges of this amazing formation, some restrictions apply if the temperature is forecast to reach 36 degrees Celsius or more. 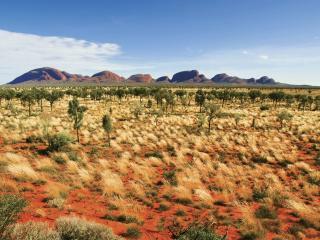 Originally a shallow inland sea, the area the makes up Ayers Rock (Uluru) and Mount Olga dried out and became a desert. Around 300 million years ago, these sediments experienced a major upheaval which forced them through the desert floor. Moulded by the wind over thousands of years, they became what we now know as these amazing attractions. 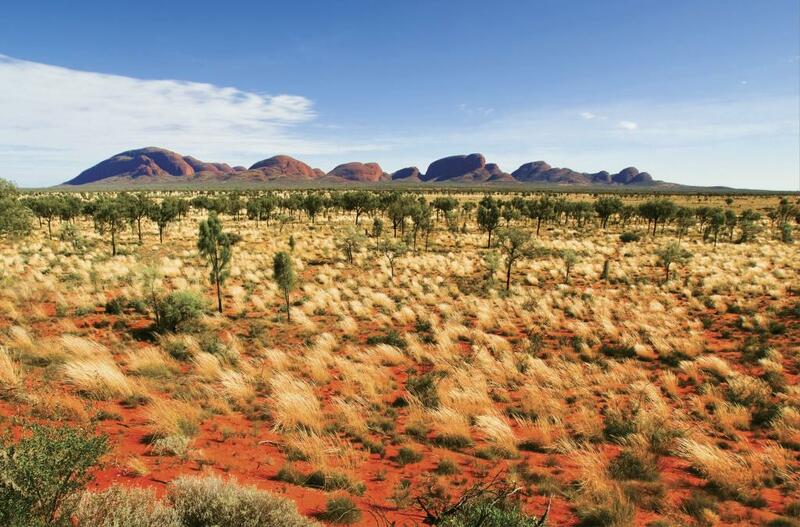 Within the Uluru-Kata Tjuta National Park you'll find snakes and lizards, red kangaroos and dingoes as well as a number of bird species including the amazing wedge-tailed eagle. Owned by the Anangu Aboriginal people who jointly manage the park with Parks Australia, this World Heritage listed natural attraction covers 132,000 hectares and is open daily from sunrise to sunset.